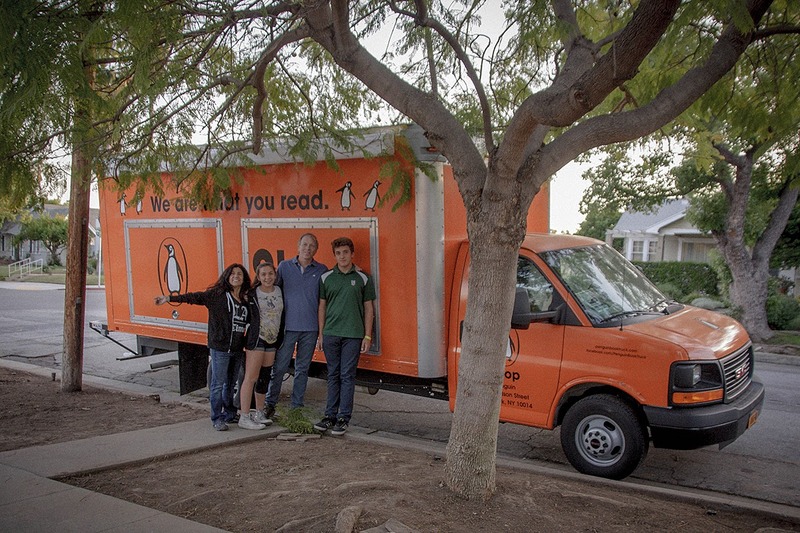 Trucks are not just for food, Penguin has created a book truck that travels around to different festivals, one of those being the LA Times Festival of Books which I help out at each year. My friend Ann is one of the festival programmers and her husband, Tom is a sales rep with Penguin and gets to drive the book truck. 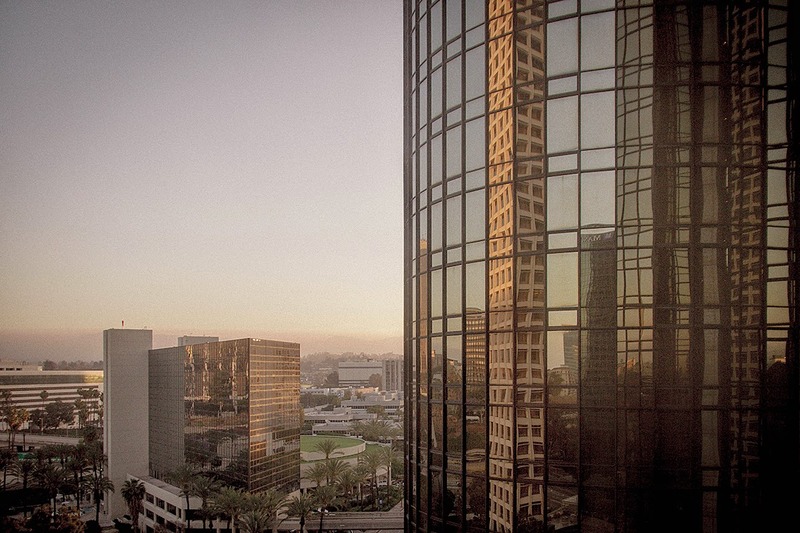 An outtake of reflections on one of the towers of the Bonaventure Hotel.